This is where the basic driver, vehicle, carrier and shipping data is entered and stored. The identification data stored here is then used by the HOS app, web portal and in the Driver’s Daily Log report. Note: The email cannot be updated. This is only available for view after setting it up after initial login. The HOS app can capture the signature of the driver which is used for digitally certifying a log. 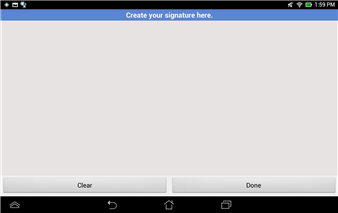 Tap on the Create/Update Signature button. 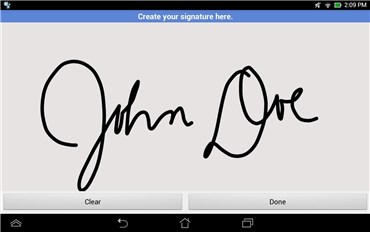 Create/Update your signature in the HOS app by using your finger to create your signature. Tap the Done button to save your signature. You can also select the Clear button to clear the captured signature. 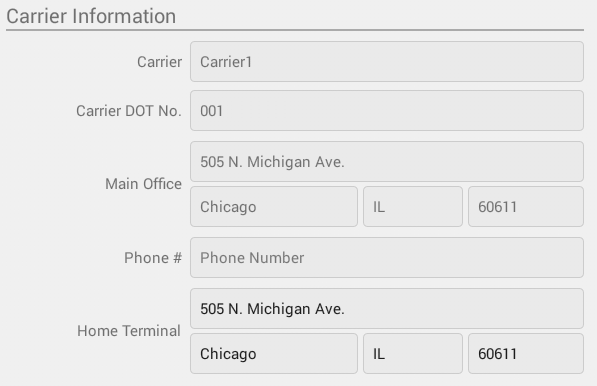 Note: Drivers have the ability to make the Carrier Information and DOT number editable on the mobile device when the Account enabled the ‘ Allow driver editing of carrier information ‘ which can be seen in the portal->settings->account settings under Carrier Information. This is where you change the HOS rules or the Federal Motor Carrier Safety Administration’s (FMCSA) regulations that govern the hours that a commercial vehicle driver can legally accumulate driving or being on duty for a motor carrier in a working day and week. This is where you also apply the HOS rules exceptions. 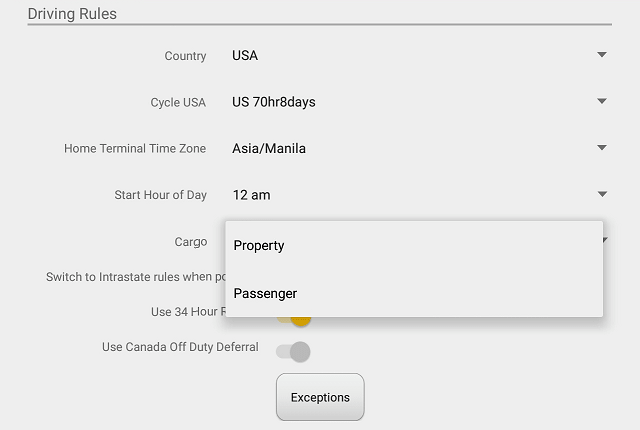 Select the HOS rules that you would like the HOS app to use in the appropriate drop-down list. 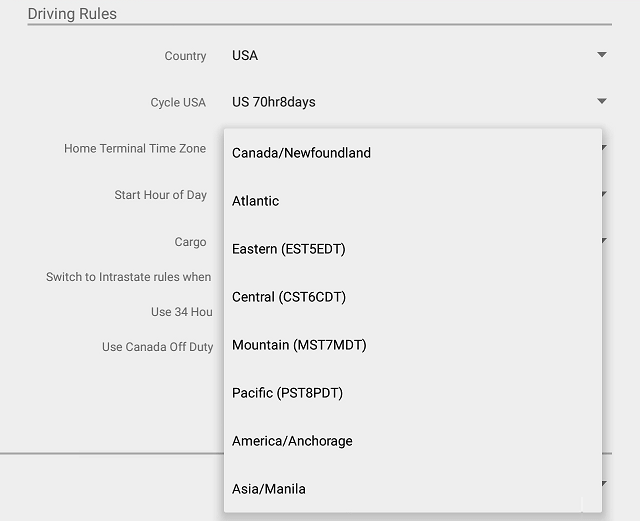 You can customize cycle, cargo, exceptions and time zone rules. Cargo – this will set the applicable HOS rules for property-carrying or passenger-carrying commercial vehicles. Cycle – this is where you set the consecutive multi-day duty period which the driver will follow. Choosing a cycle will take into effect the corresponding legal limitations on the hours that can be used by the driver in a 7-day or 8-day working cycle. 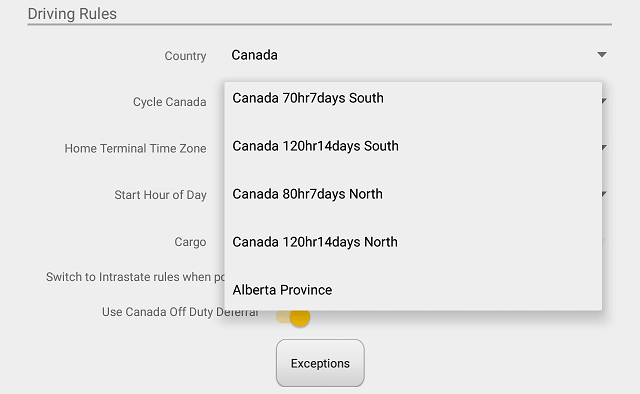 The cycle changes depending on the Country selected. Also, the cycle being used is included in the driver’s Certified Logs. 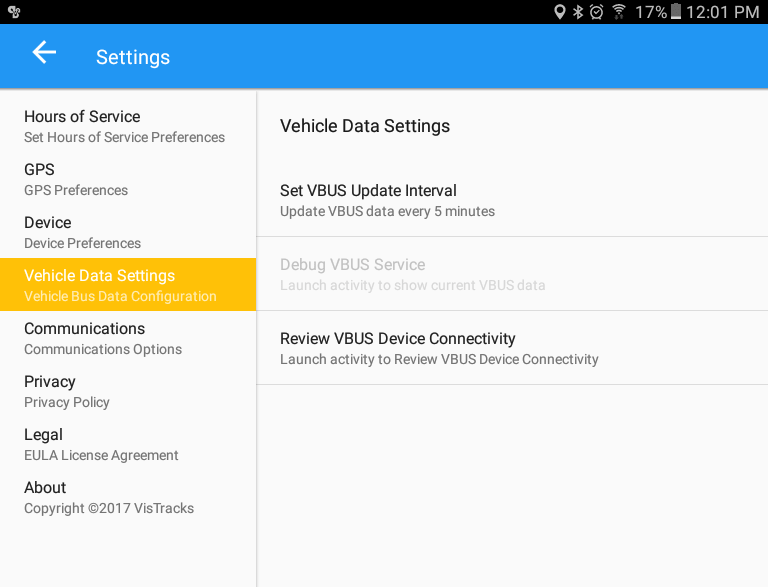 Perform Intrastate Check – when enabled, the app checks when connecting to the VBUS device if the driver has been in the same state for the last 7 or 8 days (depending on the cycle). 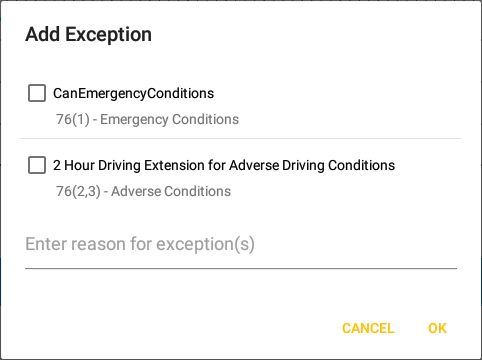 If so, a dialog will appear providing an option to go to Intrastate Driving Rules. In addition to Intrastate Check, the app also automatically checks and switches to Interstate Driving Rules every time the driver crosses a state line and is in Intrastate mode. 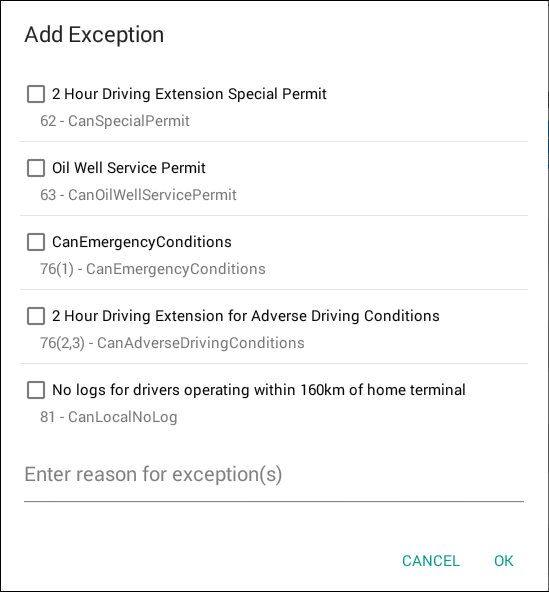 Exceptions button – tap on this button to open up the Add Exception dialog. Reason for Exceptions – this is where you input the reason for applying the exception. 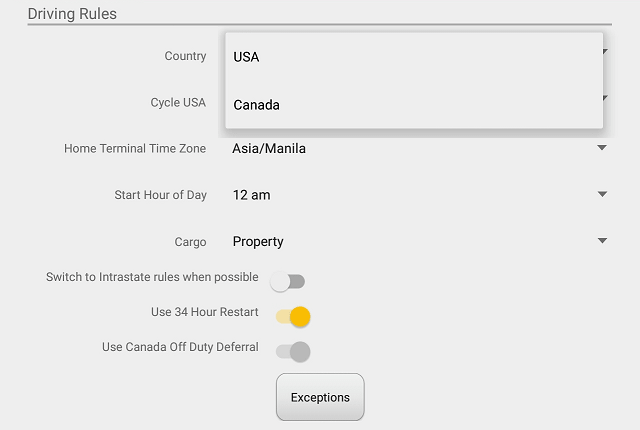 Time Zone – this sets the time zone to be used by the HOS app. Start Hour of Day – these option enables the motor carrier to set an hour to start their day. By default the time is set to 12AM. Whenever the time is changed the Start Hour Time in the daily logs grid chart also changes. 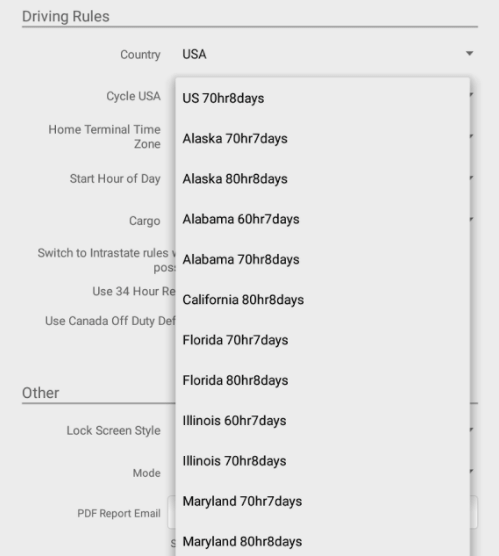 Country – these option enables you to set the country in which you’re located. The list displayed in the cycle is based on the country selected. 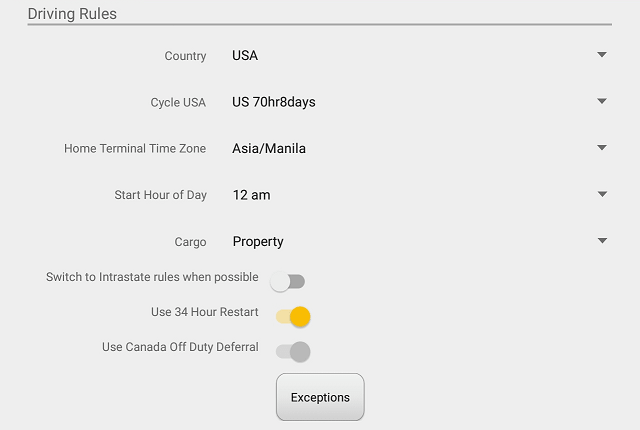 Note: When the Country is in US, you can enable/disable the 34 Hour Cycle Reset. The Cycle Reset status is shown on the Driver’s Daily Logs. When a vehicle is determined to be moving via VBUS data, the HOS app’s screen locks and displays a lock screen. Tapping the screen doesn’t perform any action until the vehicle is stopped. 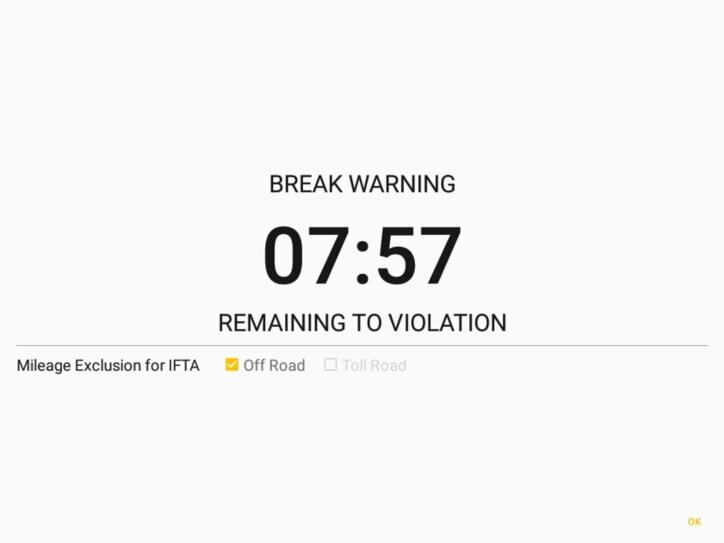 The lock screen also allows the driver to create Off Road and Toll Road Remarks to indicate that the vehicle has begun driving in an off road or a toll road or has returned on a normal road. Lock Screen Style: Select a style of screen to be displayed when the lock screen is displayed. Remaining to Violation – displays a screen indicating the remaining time until the next violation. 4 Clocks – displays a screen with four clocks displaying the Drive time left, Shift time left, Cycle time left and Time Until Break. The clocks are similar to the clocks displayed upon tapping the Time Remaining button in the Main Dashboard. 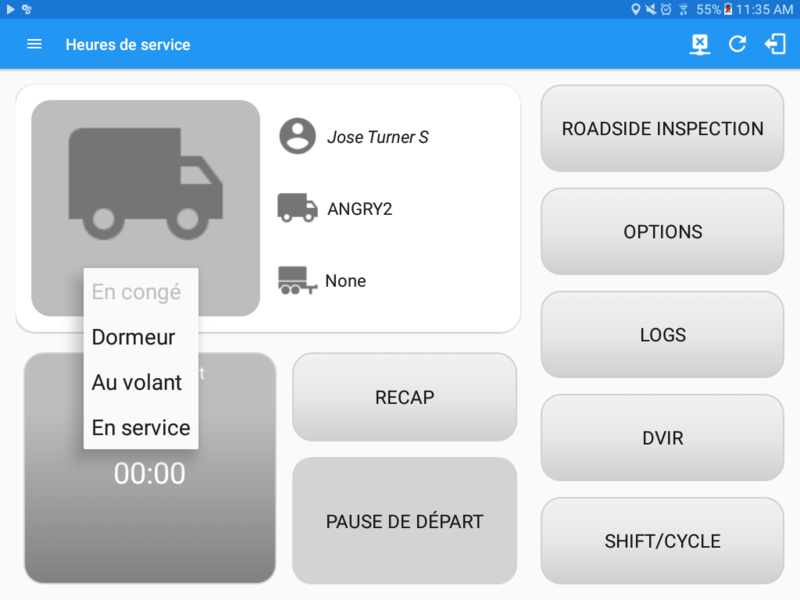 If there is a logged in Co-Driver, it is possible for him/her to view the logs and access the application, but with a very limited conditions. 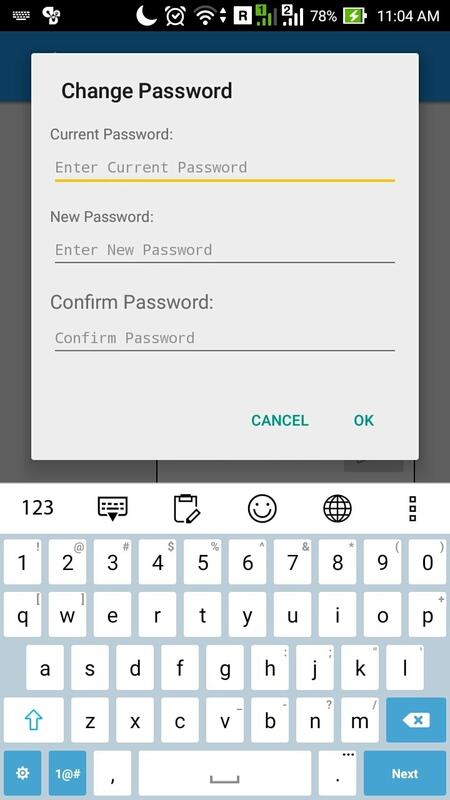 This can be done by tapping the Access Co-Driver Logs button at the bottom to display the co-driver login screen. This button acts the same way as accessing the logs from the Time Remaining button from the Main Dashboard. Below is a lock screen with Remaining to Violation style. The vehicle movement is determined by the Movement Speed Threshold which is set to 5 Mi/hour. The Vehicle is considered moving when travelling over this speed according to the FMCSA regulations. The app provides an option to switch between 395.15 (AOBRD) and 395.20 (ELD) as support for both regulations are available. When 395.15 (AOBRD) mode is selected it turns off all 395.20 (ELD) features. 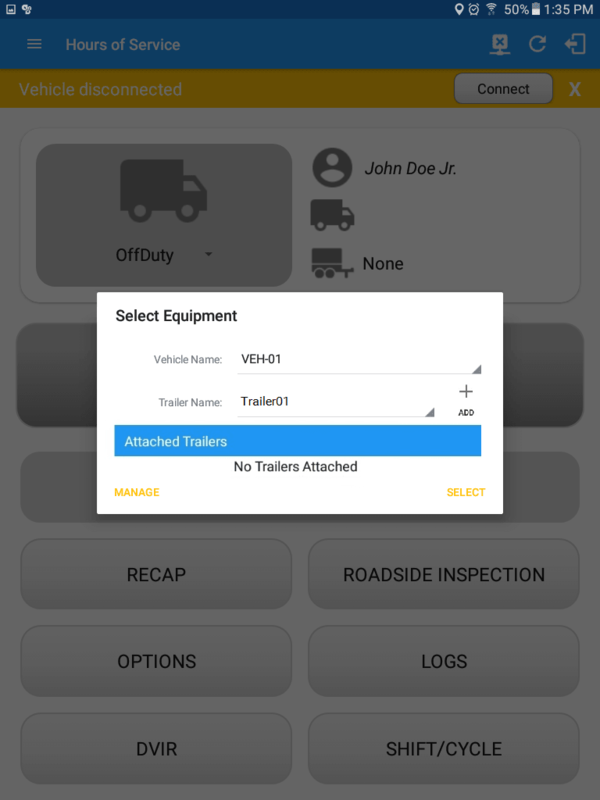 It simply records the driver’s events regardless of the FMCSA rules. Mode: Select a regulation mode from the drop-down menu. This is only available to drivers who are configured in the portal allowing them to switch regulation modes. You can set the default recipients of your Driver’s Daily Log PDF report in this part of the Settings Menu. PDF Report Email Recipient: Fill in this field for the email address or addresses that will become a recipient of the HOS app’s Daily Driver Log PDF report. The email addresses must be separated by a comma (,). 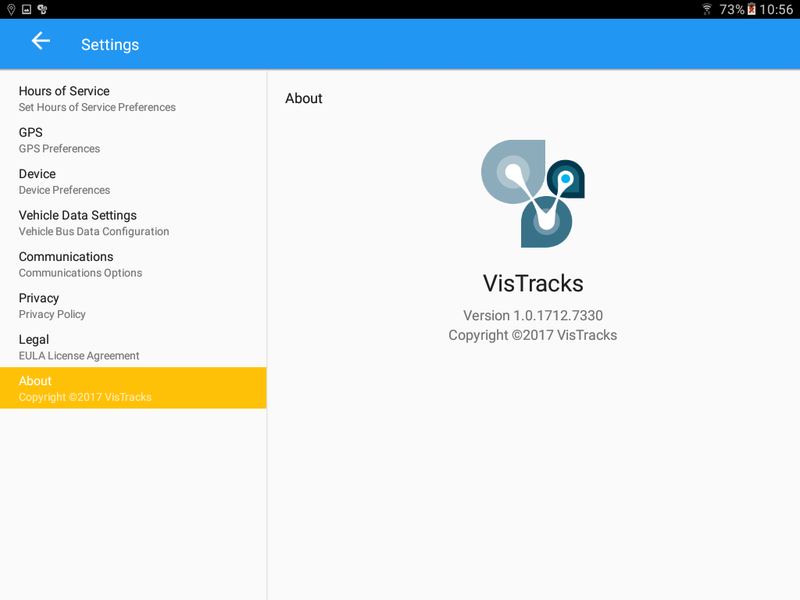 This screen displays some of the necessary data about the application which includes the Brand, Build and Version numbers. The Application supports language translation for French-Canadian (Francais (Canada)) and Spanish (Español (Estados Unidos)). 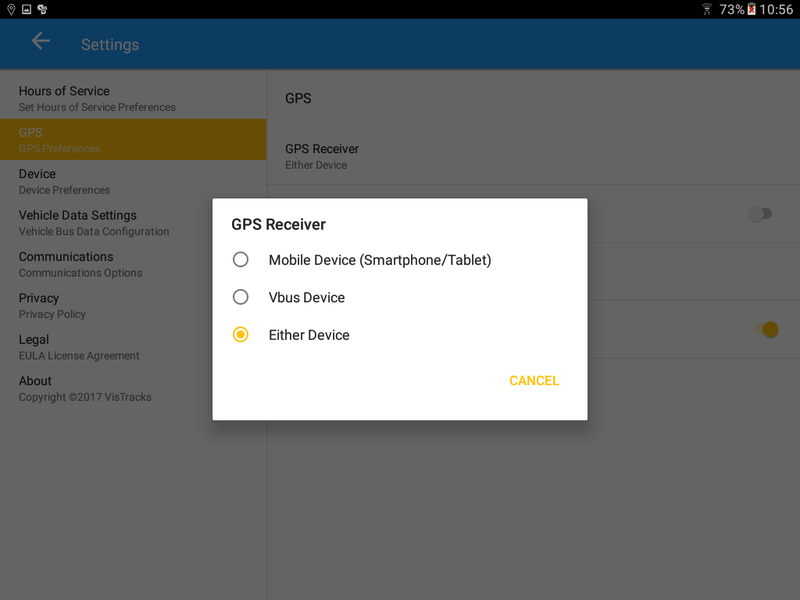 Setting up the language for the device will affect the app language. This is only applied to fixed labels and buttons. Go to Android Device Settings > Language and Inputs > Language. Select any of the three languages.